Let’s take a look at a few red cards from series 2! 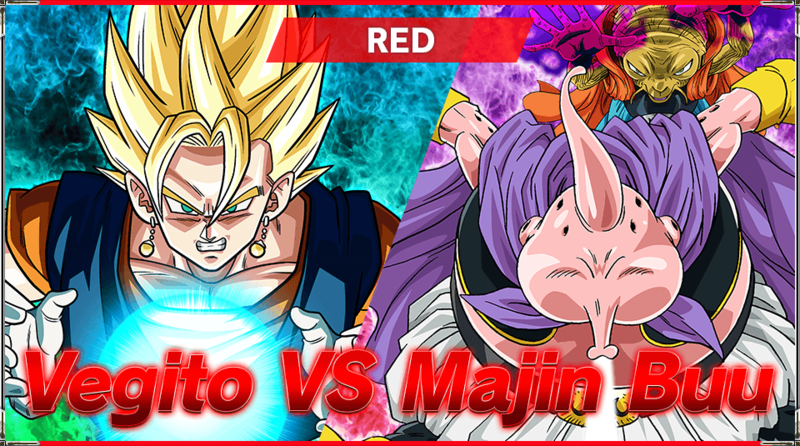 Red in series 2 is mostly focused on the Evil Wizard Babidi and Majin Buu saga! 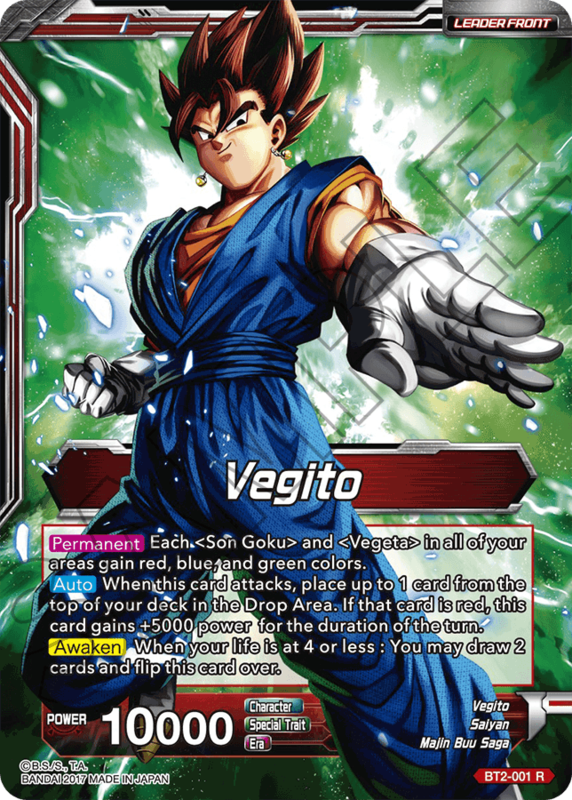 Vegito finally makes an appearance!! This powerful card will transcend the concept of colors!! 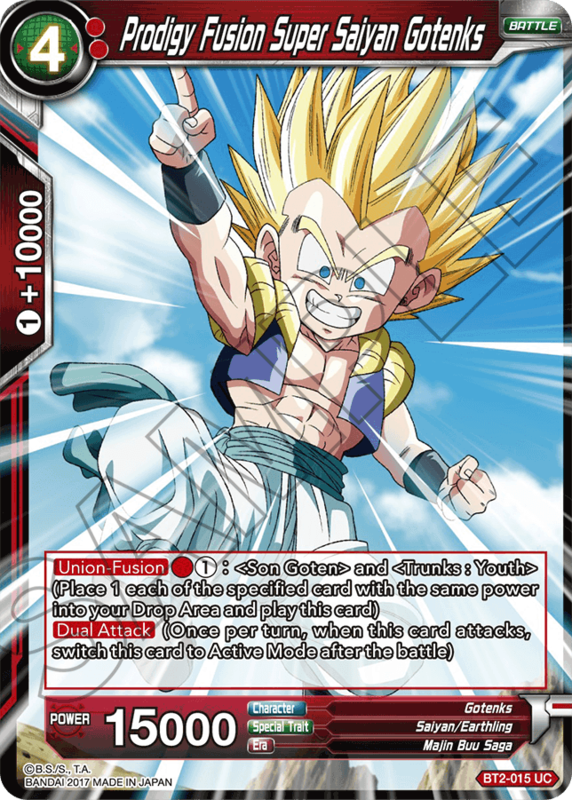 Master your Goku and Vegeta decks! 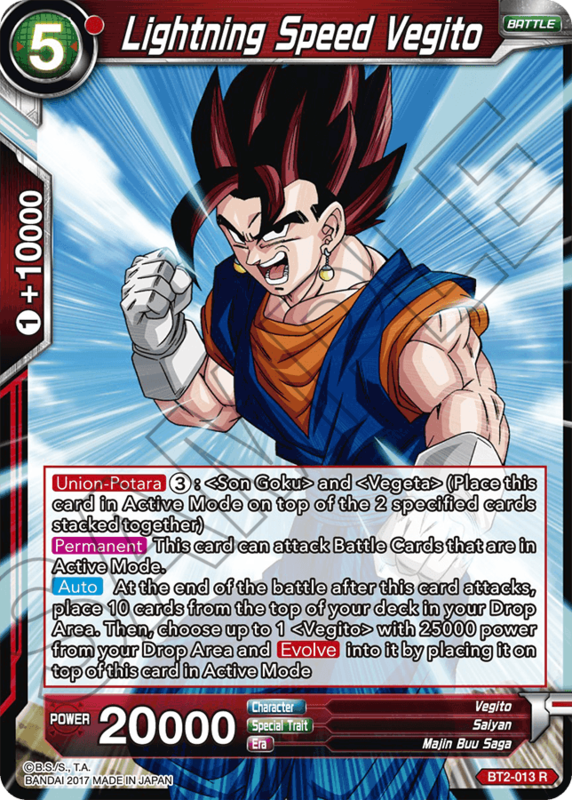 This card is indispensable in a Vegito deck! Although we can’t show it to you yet, this card is amazingly compatible with SR cards!! Wait for the next update!! 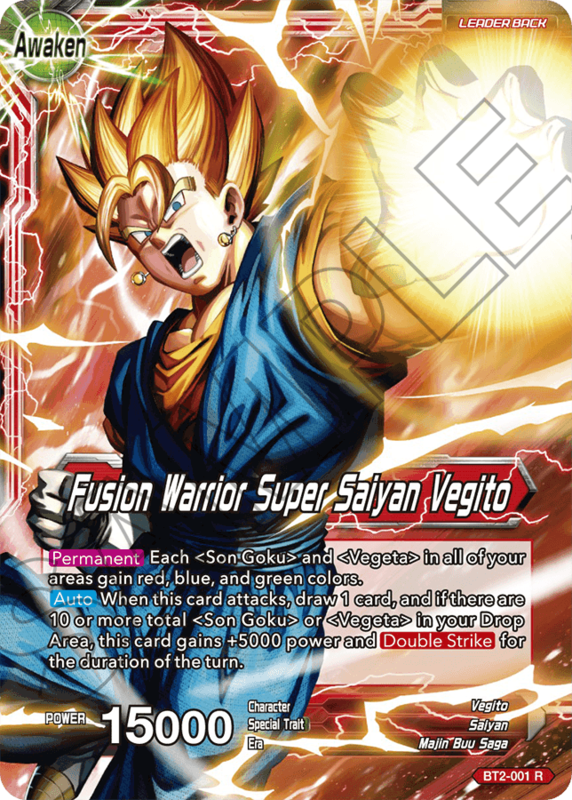 With the new keyword skill Union-Fusion, this card is essential for quickly evolving into Super Saiyan 3 Gotenks! Play Gotenks from your hand quickly!! Super Saiyan 3 Gotenks joins the battle!! Similar to the anime, give your opponents a taste of the Super Ghost Kamikaze Attack!! 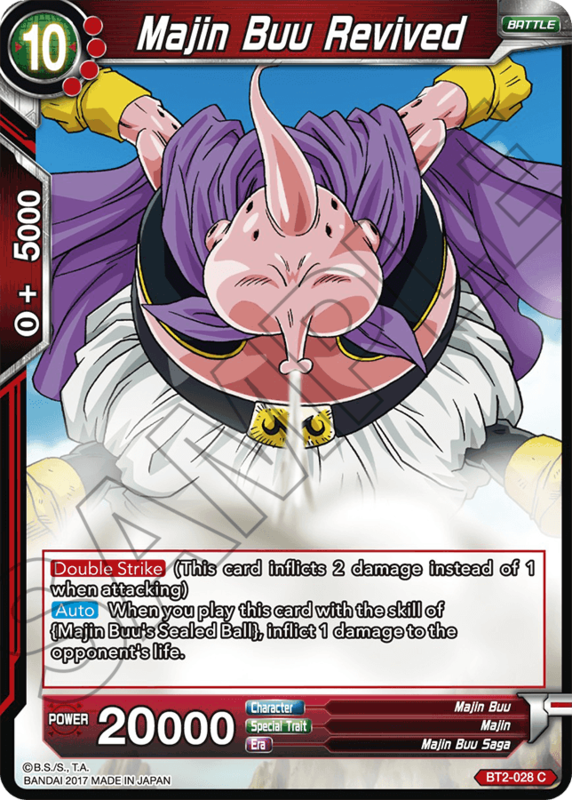 A leader card required to summon Majin Buu! 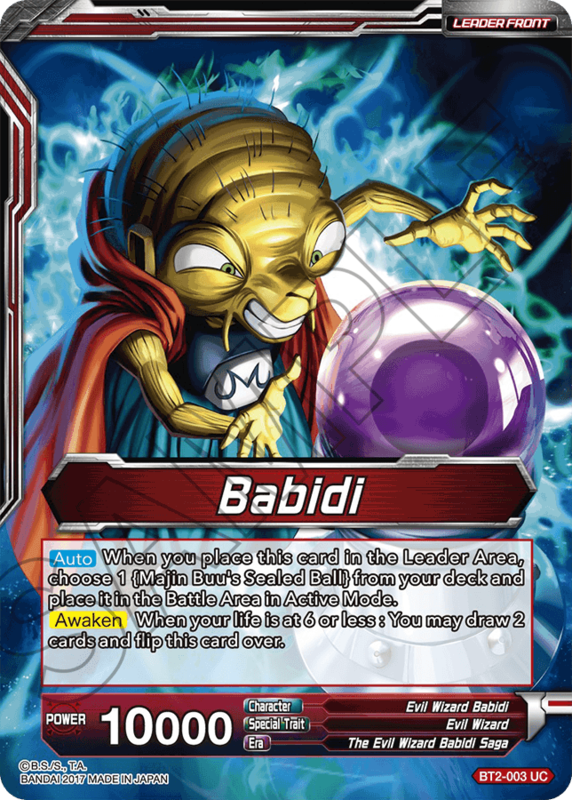 Absorb cards with Majin Buu’s Sealed Ball, and summon MajinBuu! 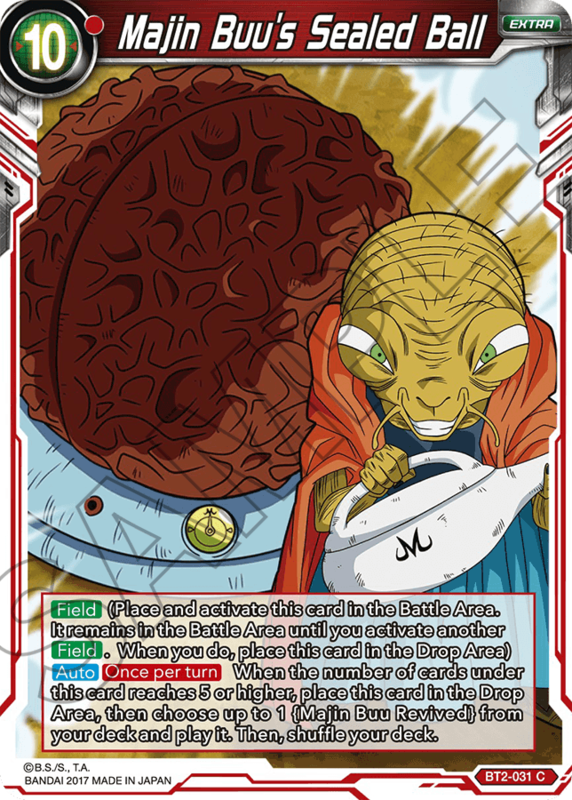 If you can put five cards underneath Majin Buu‘s Sealed Ball, you can summon Majin Buu! 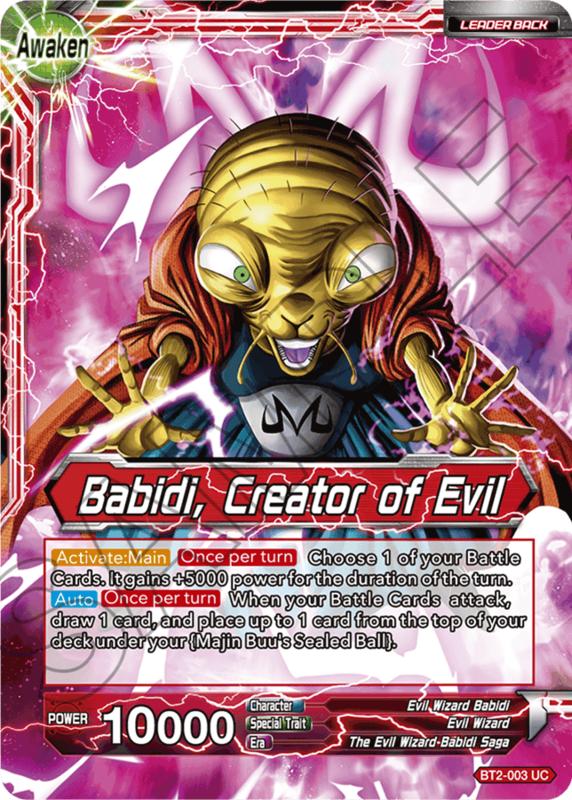 Evolve Majin Buu from this form, and rule the game! 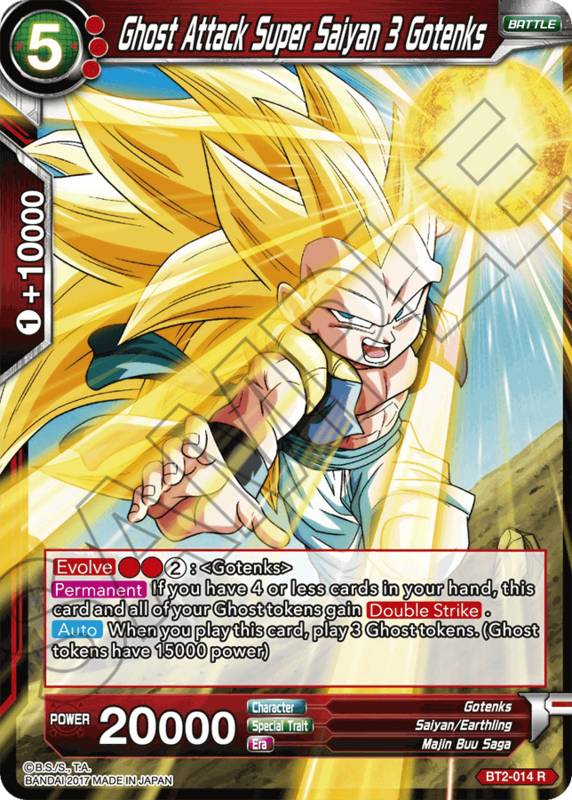 This card will help summon Majin Buu in one fell swoop! 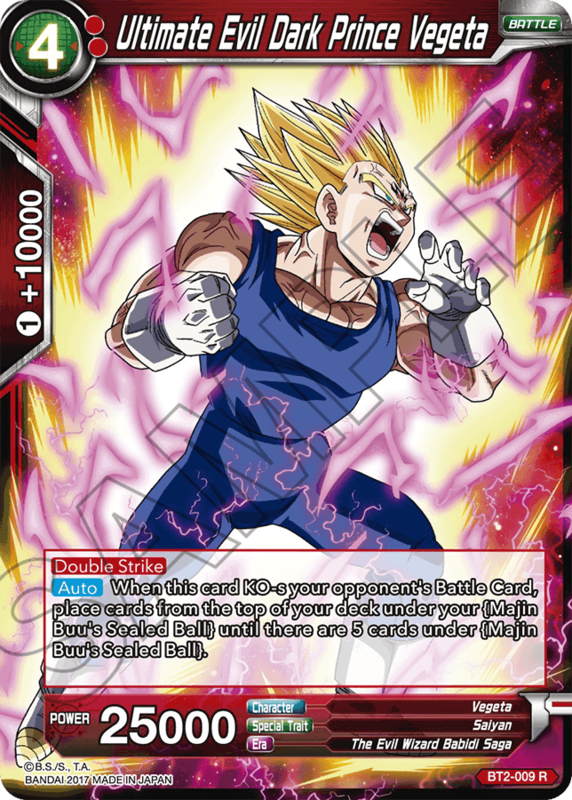 Use ultimate Evil Dark Prince Vegeta and KO your opponent to summon Majin Buu!! Red cards are Majin Buu, and Saiyans who oppose him!